Celebrities flooded social media with condolences and heartfelt messages following the devastating news of 22 dead and at least 50 injured at Manchester Arena in the UK where Ariana Grande performed a concert on Monday evening. Praying for everyone at Ariana Grande’s show. My prayers go out to the people of Manchester... had special times there from youth and beyond. Tearing up imagining innocent concertgoers losing their lives. 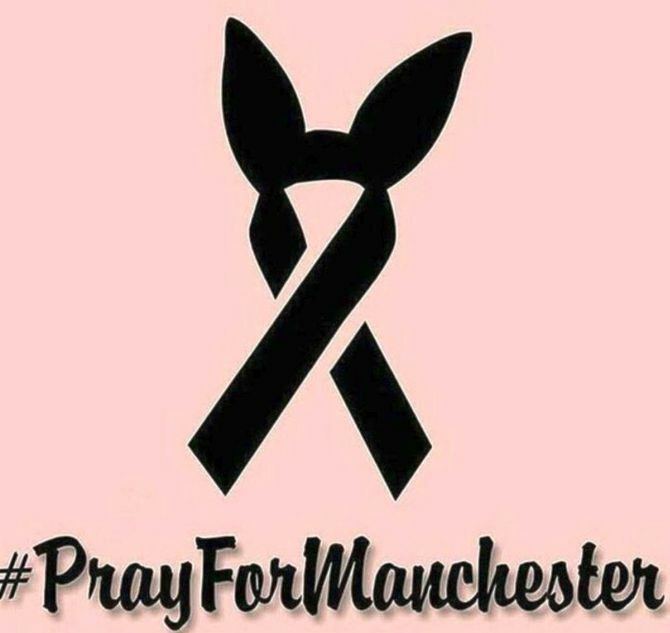 Praying for everyone and all #Arianators. Our prayers and strength to the victims and their families involved in this tragedy in Manchester. Stay strong. Absolutely horrendous what happened in Manchester tonight. My thoughts are with the great people of Manchester and also Ari and her team. What is happening in Manchester is absolutely terrifying. Praying everyone affected has found safety and hope Ariana is okay :( Jesus.